Things haven’t been going well for Patrik Laine and the Winnipeg Jets are well too aware of it. While there was already a lot of pressure of the young forward’s shoulder in the past weeks, a lot more ended up there when Toronto Maple Leafs’ Auston Matthews inked a contract extension Tuesday that will pay him an average of $11.634 million annually over the next five seasons. We all know Laine is also eligible to sign his first non-entry-level NHL contract, but is currently stuck in one embarrassing slump. Fans across the NHL know what the guy is capable of: Laine scored a whopping 18 goals in November and became the fifth player since 1989-90 to score 18 or more goals in a single month. He also became the fourth-youngest player to record 100 regular-season NHL goals behind only Wayne Gretzky, Jimmy Carson and Brian Bellows. However since November, things aren’t the same. In the past 19 games, Laine has just two goals and three assists. On Thursday in Montreal, as the Jets are getting ready to take on the Canadiens later tonight, Laine did look completely disinterested: he did not meet with reporters. According to a source close to the team, it’s the Jets’ decision to remove him and prevent him for talking to the media. He met only one member of media after practice today, a Finnish reporter from his hometown. 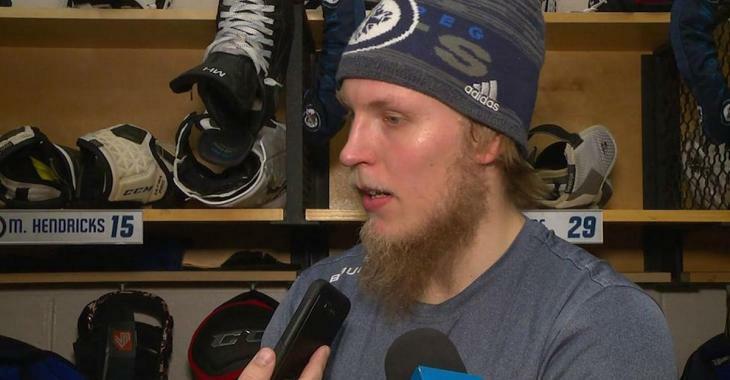 TVA Sports also reported that Laine met with a Finnish reporter, but did not show up for the scrum in the dressing room after the team's skate. Despite Laine’s struggles, the Jets have maintained their spot atop the Central Division standings. Let see if some time on his own away from the media pressure has motivated Laine to score once again. After all, Patrik, it is a contract year. Show your worth!